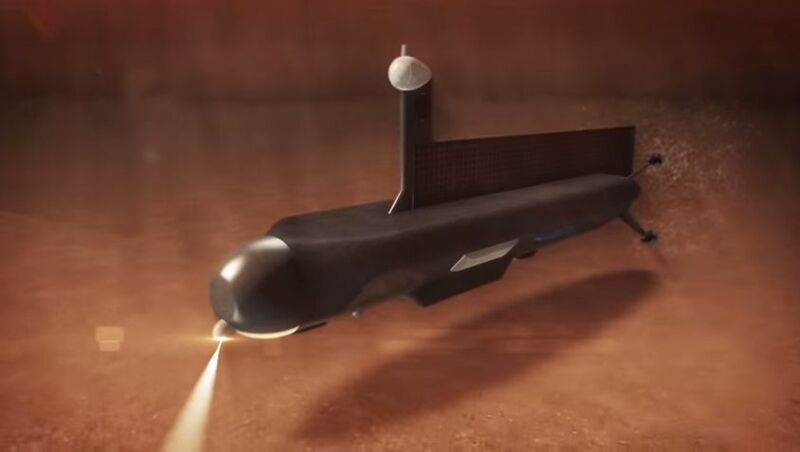 The submarine design, called the Titan Submarine Phase I Conceptual Design, was presented at the Innovative Advanced Concepts (NIAC) Symposium in Cocoa Beach, Fla., and is essentially a submersible robot that could explore the liquid methane/ethane seas and lakes on Titan much the same way a submarine works on Earth. It was created by NASA Glenn’s COMPASS Team along with other researchers from Applied Research Lab. Appearance-wise, it resembles some older submarine models, but the technology involved would be much more advanced, necessary for working in such a cold, dark environment. 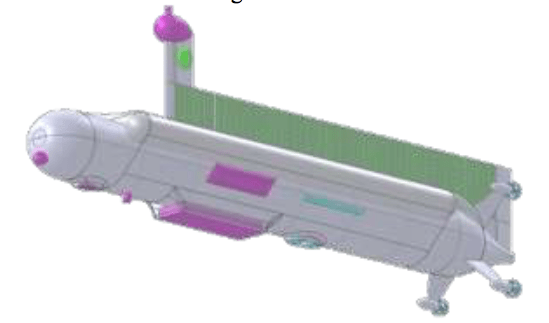 The submarine would use a large dorsal phased array antenna, but in order to communicate back to Earth, it would need to resurface for an estimated 16 hours each time and could use a radiothermal Stirling generator for propulsion. It would, however, also have to be highly autonomous to work on its own at such a far distance from Earth. To prevent freezing in the extreme cold, a special piston-driven type of system would need to be developed as well. The submarine would weigh about 2,200 lb (one tonne). As for speed, NASA estimated the sub could travel at about 2.2 mph (3.6 km/h). The submarine would also likely use ballast tanks like subs on Earth, but they would have to be designed to work in liquid methane/ethane instead of water. 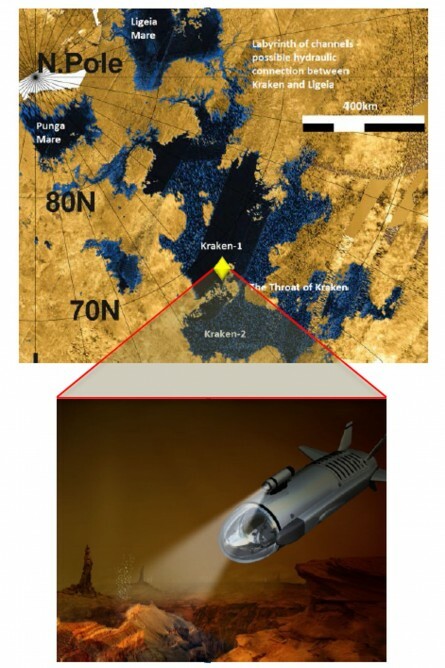 The submarine would be delivered to Titan’s surface using a winged spacecraft similar to a U.S. Air Force X-37. The spacecraft would ditch and then sink, leaving the vessel floating on the surface of the sea. Like with any good submarine, there would of course be a mast camera, for observing the surrounding environment. As noted by NASA scientists, a possible bonus of that is if there were breaks in the near-perpetual cloud cover, the submarine could get a glimpse of Saturn from Titan’s surface, something dreamed about and depicted in space artwork for decades. That view would be unprecedented, with the sea surrounding the sub and Saturn looming large in the sky overhead. A surreal scene, yet also very real at the same time. Such a mission could be ready by about 2040, so still a ways off yet, and, as usual, dependent on funding. The fact that the concept is now being designed, however, is exciting, and it would be the first of its kind. Until now, planetary missions, including to moons, have been limited to orbiters, landers, and rovers. Of course, there is also that other big question: What about life? Although Titan’s seas are much colder than any on Earth (about -298 degrees Fahrenheit), some scientists think that there could still possibly be primitive forms of life in them, perhaps similar to some organisms (methanotrophs) on Earth which consume methane for energy, since Titan’s atmosphere contains an abundance of methane, as well as nitrogen. 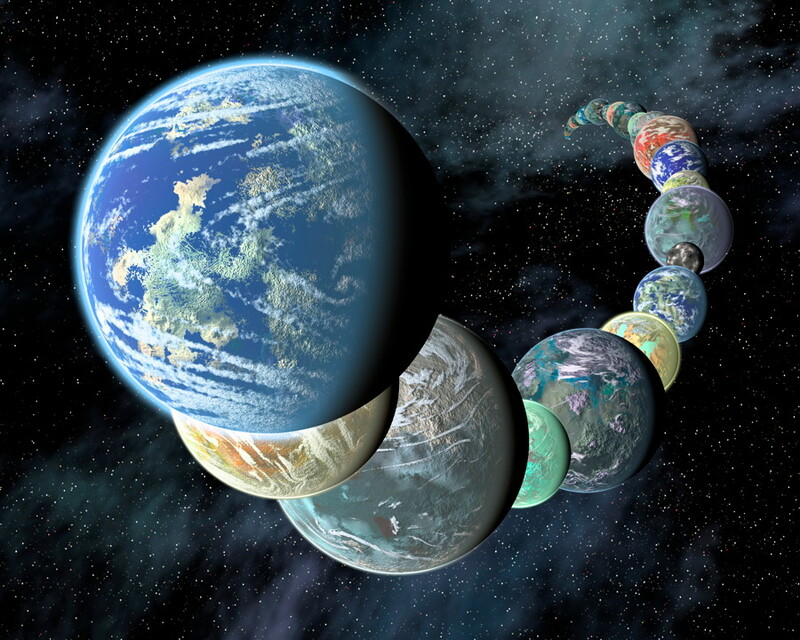 Even if no life itself is present, it is thought that Titan represents what conditions might have been like on Earth much earlier in its history, including pre-biotic processes which led to the development of life on our own planet. Titan is the only other place in the Solar System known to have bodies of liquid on its surface. There are also rivers and rainfall of liquid methane/ethane. The process is like a colder version of Earth’s hydrological cycle; it resembles Earth’s in many ways, yet is also distinctly alien. There may also be a subsurface ocean of water, similar to moons like Europa and Enceladus. It is likely deep underground, however, so exploring it probably won’t be feasible in the near future. 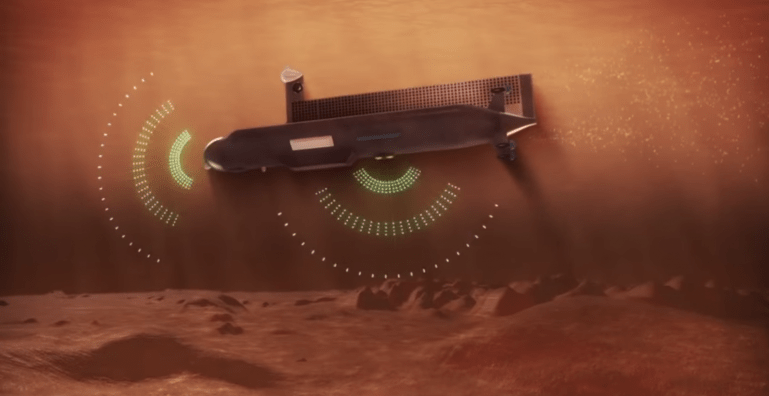 Diving into one of Titan’s seas is one of the most exciting possibilities in planetary exploration, and this new concept design is a big step closer to making it a reality. See the published paper for more details about the design concept. More information about Cassini and Titan is available here.